We are fortunate to have Juan (Dr. Dulcamara) as one of our TSN Artisans. Juan has a passion for restoring vintage barbershop style brushes. 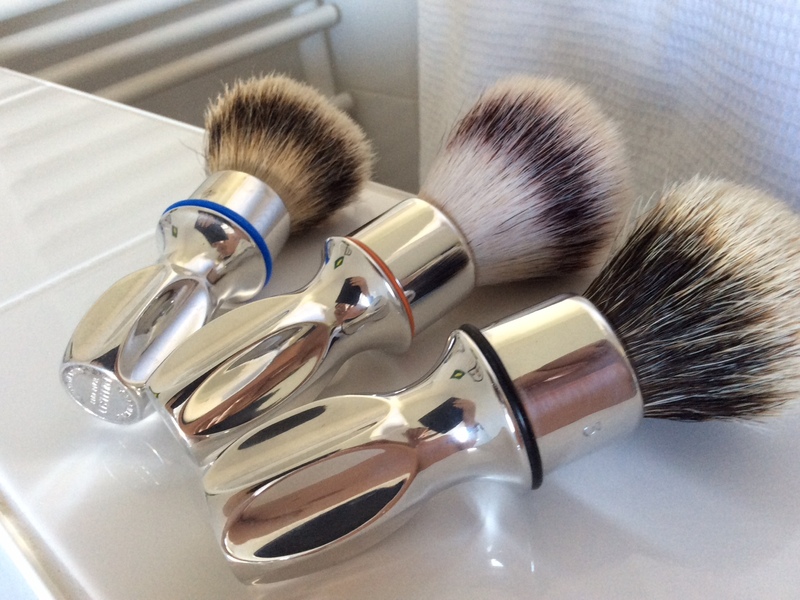 In 2014, Juan announced on TSN that he was producing an aluminum, CNC machined, Rubberset 400 type brush in Barcelona, Spain, under the trade name of Barcelona Shaving Brushes (BSB). This model was called the BSB-1. Since these brushes were first announced, there have been a number of threads and numerous positive posts about them. Additionally, Juan has produced periodic small releases of them. I've always liked the Rubberset 400, but lacked the skills, tools and inclination to restore one. At one point I actually purchased a Rubberset 400 in good condition, but it just sat around. I ultimately sold it after realizing that I would never get around to restoring it. I had previously inquired of Juan if I could just purchase the BSB-1 handle. My plan was to put a Shavemac silvertip 2-band bulb in the BSB-1 handle. However, Juan advised me that the BSB-1 was only available as a complete brush. I then put the idea of acquiring one of these aside. 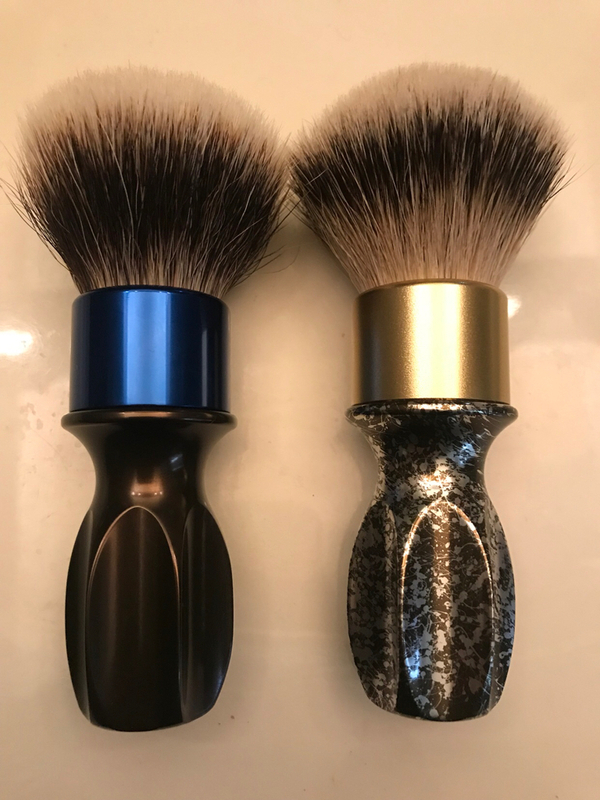 In October of this year, Juan announced another small batch of these was available, and mentioned the Muhle synthetic was one of the knot options. 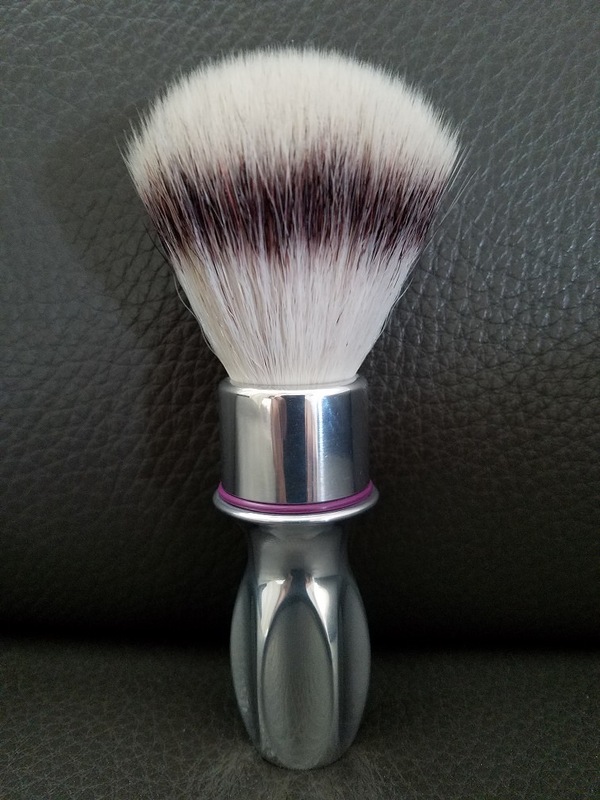 I've been working on acquiring some nice custom synthetic brushes, and decided this was my opportunity to get a BSB-1. 1. It is CNC machined, while the original Rubberset 400 was cast. 2. It is one piece handle, while the original Rubberset 400 was a two piece handle. Juan also added the purple O-ring, but that is a small cosmetic difference. This handle is a beautiful piece of aluminum CNC machining. Each piece is finished by hand, and there are no machine marks to be found anywhere on the handle. The 25mm Muhle synthetic knot is set to a loft of 58mm, which works well for this particular knot. 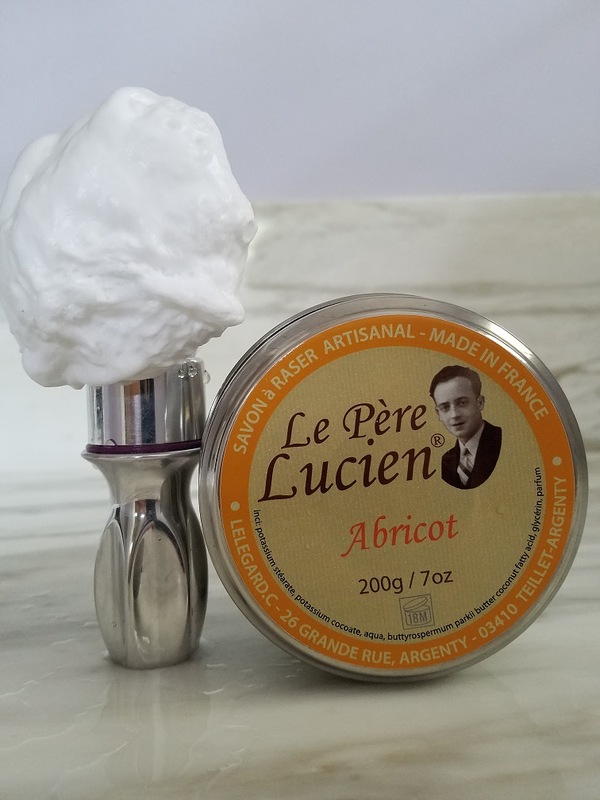 The long handle is ergonomic and works quite well for face lathering. The BSB-1 is a great addition to my brush rotation, and I see it as a small piece of functioning aluminum art. Well done Juan. Very nice brush. That loft is interesting. It isn't floppy that way? Also, is there a groove for the o-ring? Just curious. I've seen many restores with the o-ring added, but that's with the 2 piece 400. (10-29-2017, 10:20 AM)wreck | fish Wrote: Very nice brush. That loft is interesting. It isn't floppy that way? You raise two good questions Tom. 1. This is the 25mm XL Muhle knot. I find that 26mm synthetic knots work well at a loft of 55mm. However, Muhle also sets this knot at 58mm in its synthetic brushes. 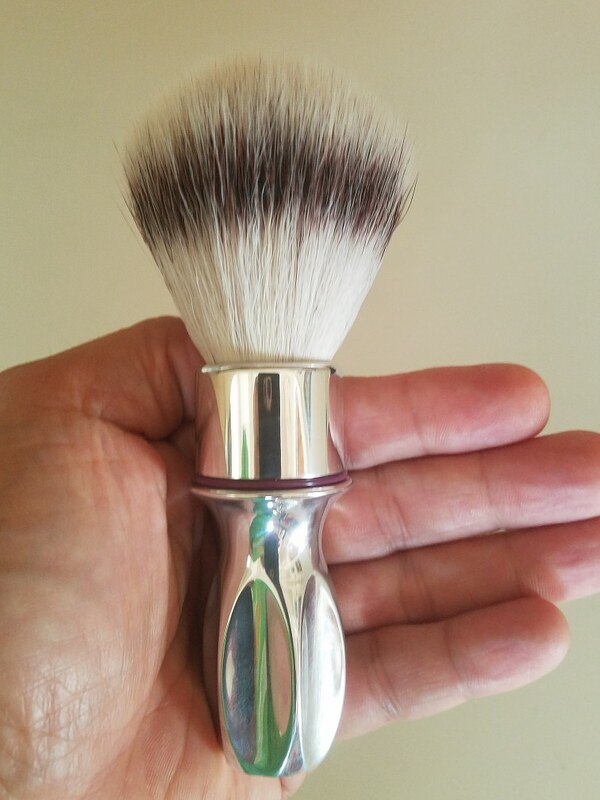 Despite the 58mm loft, this brush is not floppy. I wouldn't call it scrubby, but it has medium backbone. It provides enough firmness to give you a nice feel on the face. 2. I had the same question about the groove. It does have a groove. Here my bsb 1 with Mühle knot with two original Rubberset brushes, restored by Nightdiver's Pinselecke. I do like this Mühle knot and the ergonomics of this handle a lot. The bsb 1 is my travel brush and workhorse for everyday shaving. Unfortunately the aluminum tarnishes, as there is no protective coating. (11-01-2017, 10:37 PM)apogee. Wrote: Unfortunately the aluminum tarnishes, as there is no protective coating. I kinda enjoy the differences as I use them and it's pretty easy to bring aluminum back to the original shine. Thanks for the info Ricardo. apogee, that's a great trio of 400's! The two Rubbersets were restored extremely well. Thanks for posting the pictures. Thanks for the review Ricardo. I've been interested in these brushes for a while but I keep missing out when they are for sale. The other brushes posted are spectacular as well. Do check out "Markus Herber" at facebook, too. He does replikas of Rubberset 400 as well, offering spectacular colours. My 2 Markus Herber Rubberset replicas. He does amazing work and he was in a coma recently when I bought the brown with blue cap. Jurgen Hempel was helping his wife sell his stuff while he was down. Both are giants in this industry and class acts!! (10-29-2017, 10:14 AM)TheLegalRazor Wrote: We are fortunate to have Juan (Dr. Dulcamara) as one of our TSN Artisans. 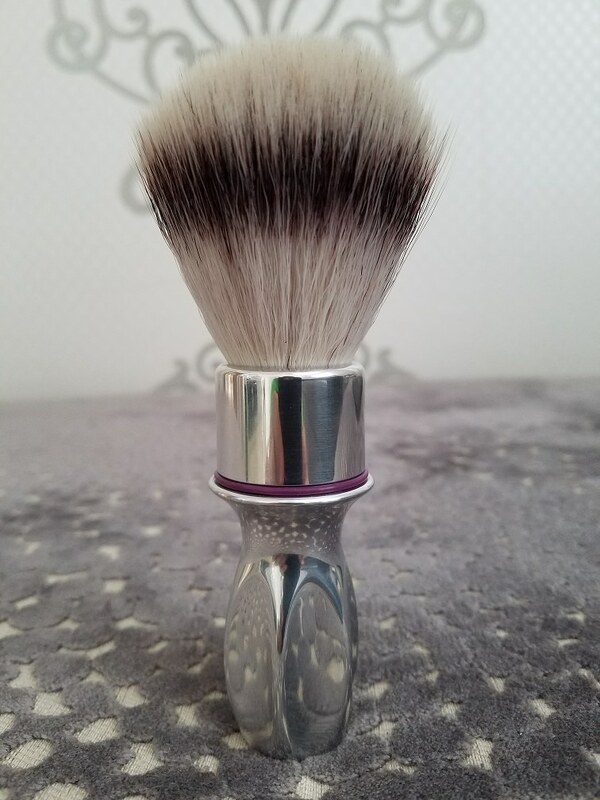 Juan has a passion for restoring vintage barbershop style brushes. 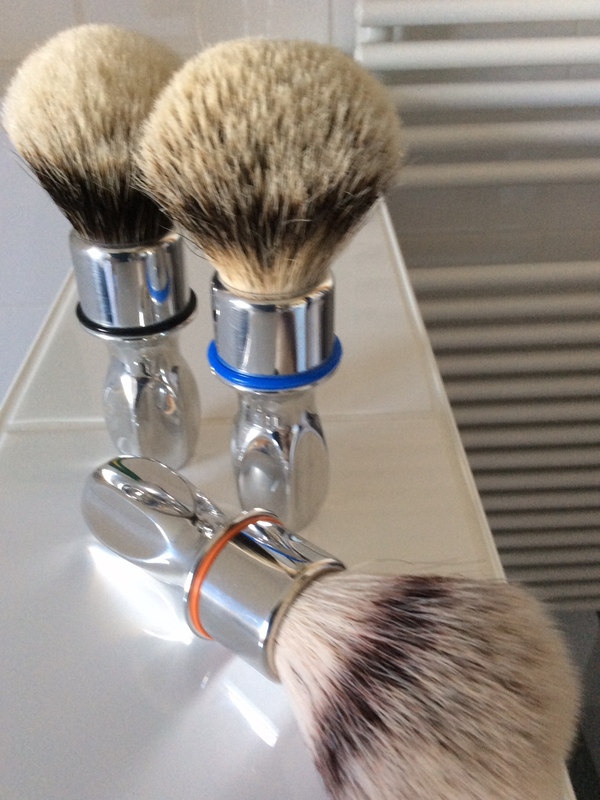 In 2014, Juan announced on TSN that he was producing an aluminum, CNC machined, Rubberset 400 type brush in Barcelona, Spain, under the trade name of Barcelona Shaving Brushes (BSB). This model was called the BSB-1. Thank you Ricardo. Enjoy your brush in god health!